How should a CPA give references? A new client asked me if I could give references for tax work. It took me by surprise for a couple of reasons. First, it was the first time I’ve been asked for references since the relaunch of my practice. Second because we had already done a little work together; enough, I thought, for her to have a good feel for my style and quality of work. I didn’t immediately know how to respond so I asked for time and said I will follow-up later. In the meanwhile I asked two groups of accountants and compiled the feedback here. In addition, this exercise sparked my memory on how I used to handle this question in the past. First, I noted that last year I started and then abandoned a personal endorsement page on my old personal website at http://tonynovak.com/endorsements.html. If the authenticity of the people making the reputation cannot be verified then the value is lacking. It would not be ethical of me to ask clients to forfeit their right to financial privacy for the sake of my marketing. So I just abandoned that project and eventually abandoned the entire web site in favor of one with a more modern look and feel. Then I recalled that a company that was somehow tied into LinkedIn collected and published comments from 3rd party individuals a few years ago. A number of my LinkedIn associates made nice comments through this service. Most people gave 5 stars but one guy, a tax client, gave 4 stars so my rating showed as 4.5. I never bothered to ask him why he gave only 4 stars; I’m more curious now then I was then. But this company went out of business and the online comments also disappeared. Next I considered that Intuit, the largest financial and tax software company, is trying to build a rating and review database of accountants. 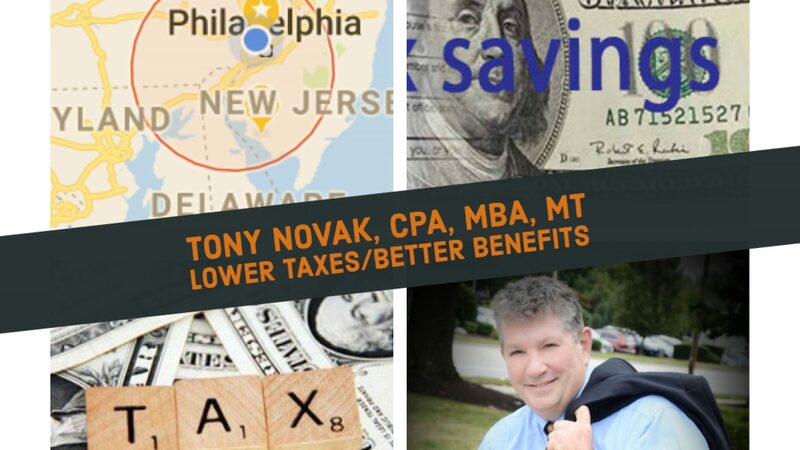 My profile at http://proadvisor.intuit.com/quickbooks-help/tony-novak still has no reviews. This client said that she tried to all a review but the web form failed. I tried it myself and still nothing shows on the Intuit web site as a review. I asked a group of Intuit accountants but received no feedback. I’ll ask an Intuit representative at some later date but I have to move on for now. I looked up my Better Business Bureau profile and notice the A+ rating and the absence of complaints. I’ve been in business now almost three decades and not a single consumer complaint with any type of authority. This is amazing, from my perspective considering the frequency of potentially volatile client situations that I handle occasionally including health insurance problem resolution and divorce mediation situations. (For sake of full disclosure, I have received several complaints that turned out to be mistaken identity where they found my web site when looking up another person. In at least one case I gave statements to police that I was not associated with another business that was using the same name. All of these complaints were eventually investigated and dismissed). I asked my wife’s opinion about the request for client references and my wife felt that the client’s request for references was reasonable from a consumer’s perspective. One accountant even wrote “If you want the person as a client, I (would) ask one or two other clients to verify my work. We all need to have a reference sometimes”. But then others disagreed. “They’ve read an article that recommends asking for such. Redirect them to your professionalism and the services you offer”. Another accountant was even more critical of the request citing that giving client references is ” a (section) 7216 violation.That’s a criminal misdemeanor, subject to a $1000 fine – per violation! Point to the absence of complaints on your regulatory board”. Point well taken. It seems likely that the request for references originated from a source other than my client (something she heard or read) who had not considered the professional ethics aspects of suggesting that a CPA offer individual client references. Moreover, it seems disingenuous in any business situation to be offering a few cherry-picked comments as representative of your work. My best thought was to refer her to my LinkedIn profile where I have solid professional relationships. My profile, like everyone else’s profile, has a section called “Skills and Endorsements” that is produced by other people’s actions. Any few of my 700+ connections, selected at random, might theoretically be willing to make a comment or two. I scanned through the list of 43 people who had made endorsements for the category “accounting” and felt that it was a respectable bunch who might, on a good day, have something nice to say. That group would be a mix of clients, associates, friends and people who want to sell me something. But at least it would be a fair representative pool of people for selecting opinions rather than hand-picked good references. If the LinkedIn connections don’t want to get involved in the communication then they could just ignore the online message. Still, in the end, I did not feel comfortable suggesting that someone should solicit my LinkedIn connections at random for references. Isn’t the fact that they already clicked to indicate endorsements enough? I also looked up my online professional CPA license verification page (entering just “Accountancy” in the license type and “Novak” in the last name field does it) for the first time and noticed that the license verification page has a section for discipline information and public documents and both boxes are empty. I am actually best known in the professional community for my work and writing within the New Jersey Society of CPAs but there is no easy way for a non-member to access that association’s web page. Finally, I recall that years ago I occasionally offered as a reference the name of a tax attorney who was familiar with my work and some of my clients. I work with a new tax attorney now and I should have this conversation with him as to whether it is a good idea or not. In some portion of cases a new tax client winds up being a client for him as well. This is especially likely to be true if we are handling more complicated tax issues. The best endorsements come from your peers….and they tend to be the toughest critics of one specific CPA…and that would be themselves. The herd may be thinning, but there is a core cadre of us that are self motivated and prone to set exceptionally high standards for ourselves…..to the point that while the personality has outstanding traits, if unchecked is prone to addiction issues, and that’s a fact from personal experience. Ask one of them for a reference…however you want to see it before its published…and those have great value.